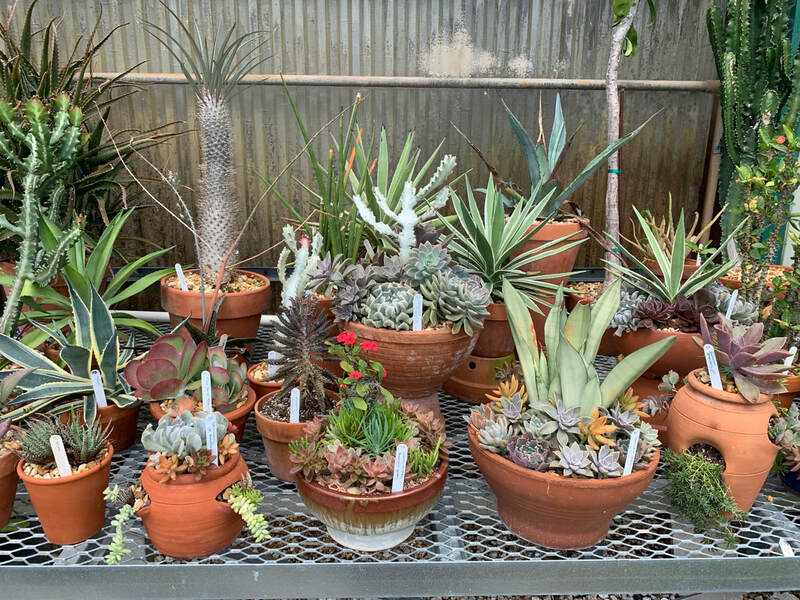 MOUNTS NURSERY OF WEST PALM BEACH- A HAPPY FIND! 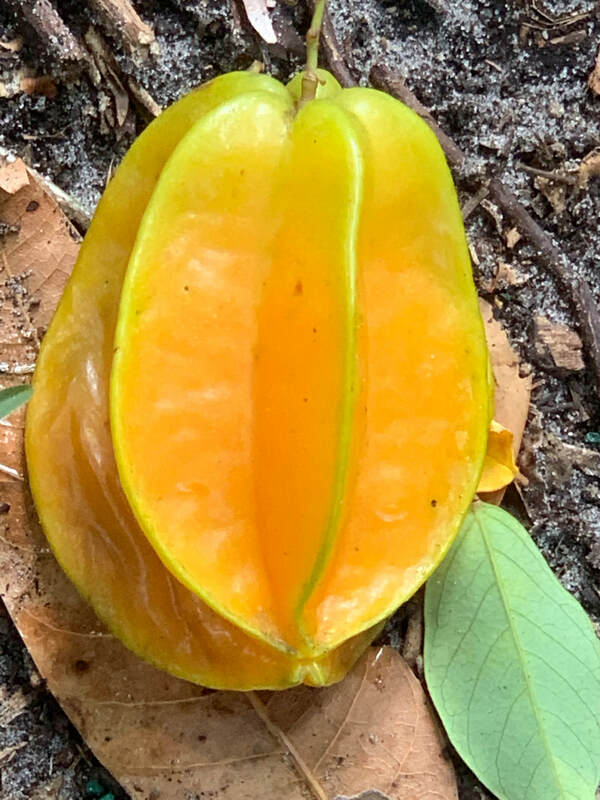 I am a member of Mounts Botanical Garden in West Palm Beach. 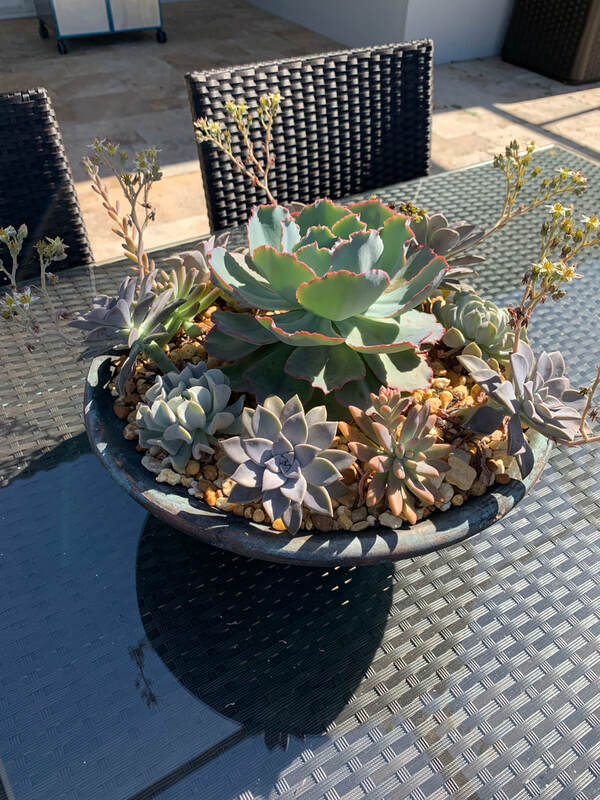 One day while visiting I noticed this great succulent arrangement (see below) for sale at the gift shop for a very reasonable price, so I bought it and put it on my patio table where it is thriving. 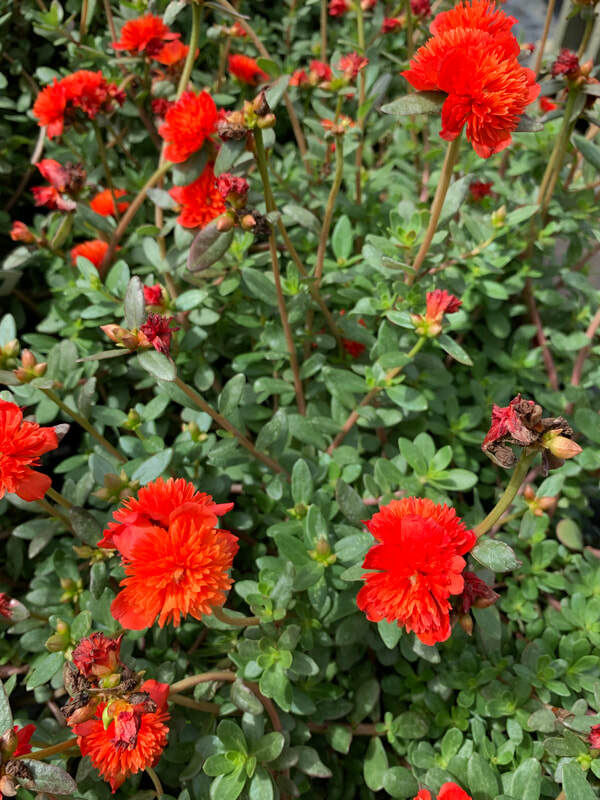 ( It was not blooming when I bought it). 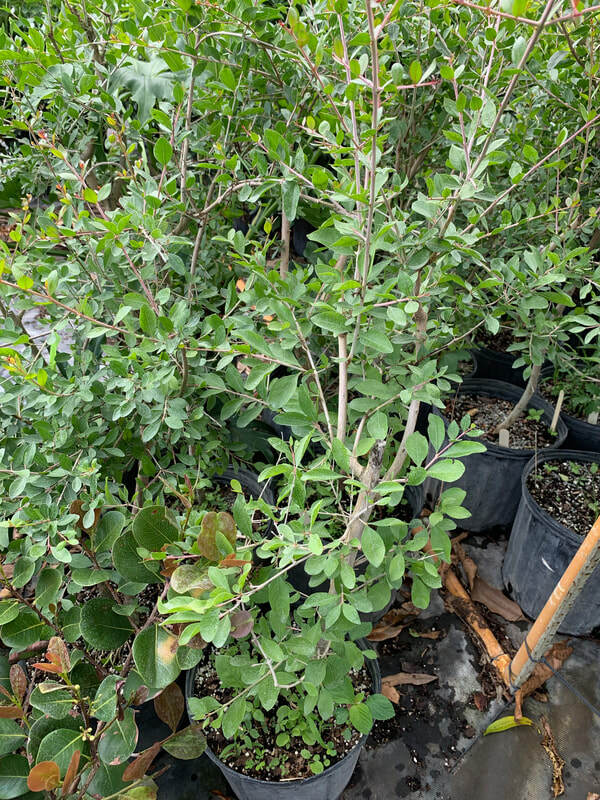 So I decided to go to Mounts Nursery, where I was told this originated. 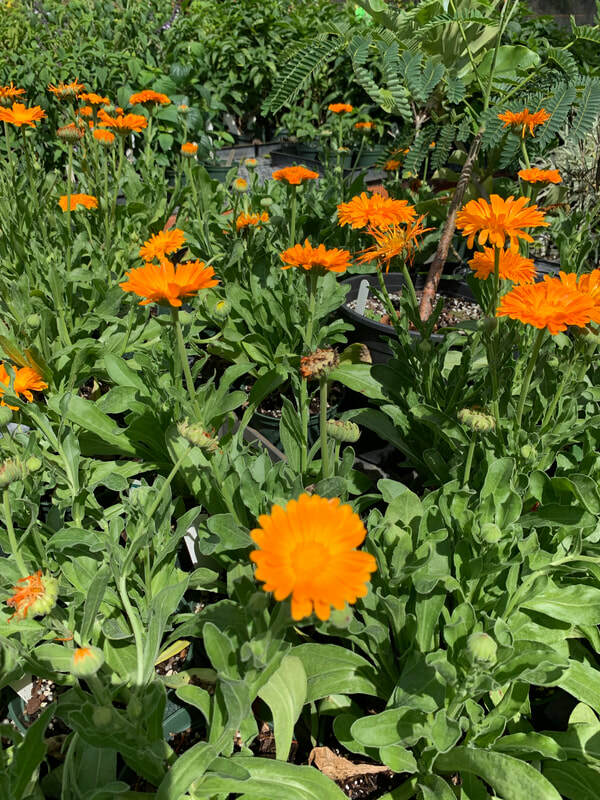 Mounts Botanical Garden (MBG) is open 7 days a week from 10-4, but the Nursery (behind the garden and accessed via a second driveway) is only open Mondays, Thursdays and Saturdays from 10-3:30. Some succulent arrangements for you to buy! 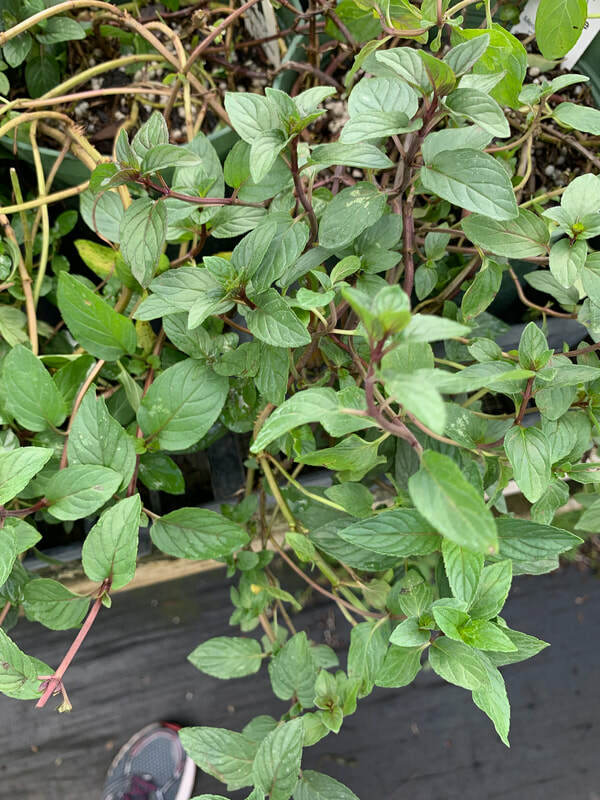 Maybe most exciting of all is the Henna shrub. 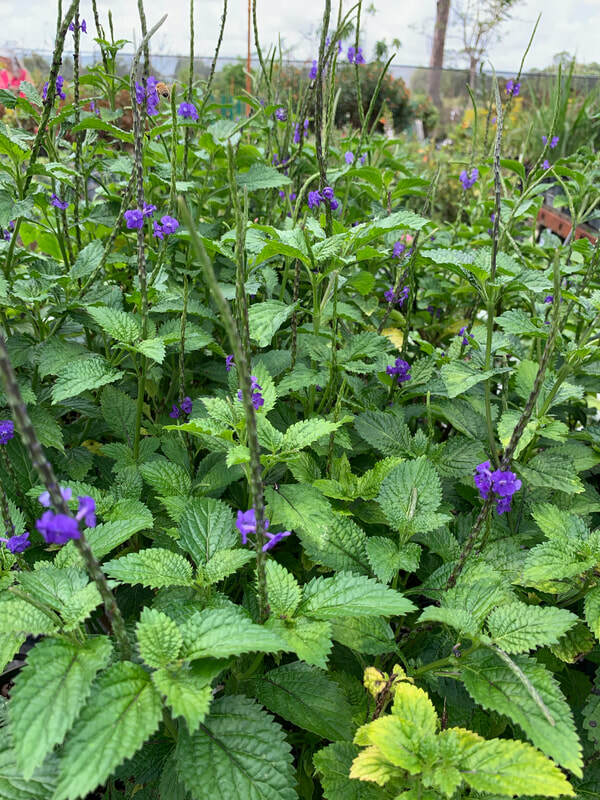 This plant is grown in the secton of Mounts Botanical garden called the Garden of Well-Being . Henna leaves are the source of hair, nail, and skin dye. 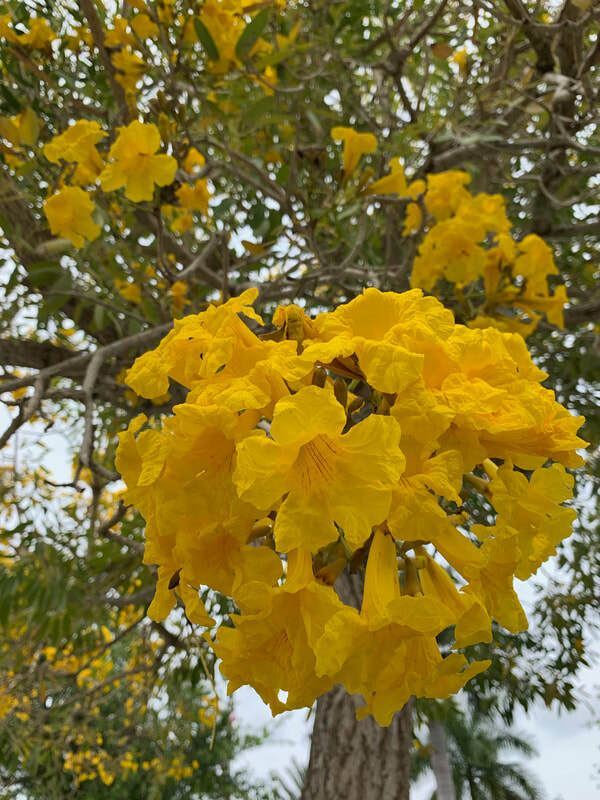 Tabebuia aurea ( Silver Trumpet Tree) showing off its annual spring bloom in Boynton Beach, FL on 3/18/19. 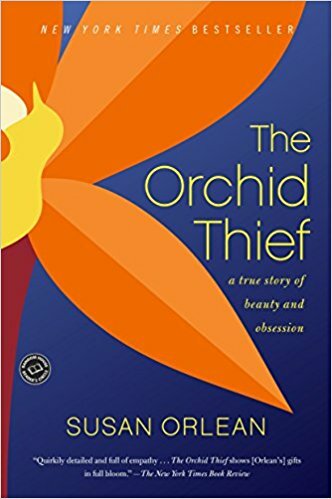 Fun and easy to read, I am recommending this book for anyone interested in the history of orchid collection , especially in England and Florida. The book was the basis for a movie called Adaptation starring Meryl Streep and Nicholas Cage; however, the movie is in no way a substitute for the book as the book is non-fiction by journalist Susan Orlean and the movie is fiction with added romance, drug use, and violence. 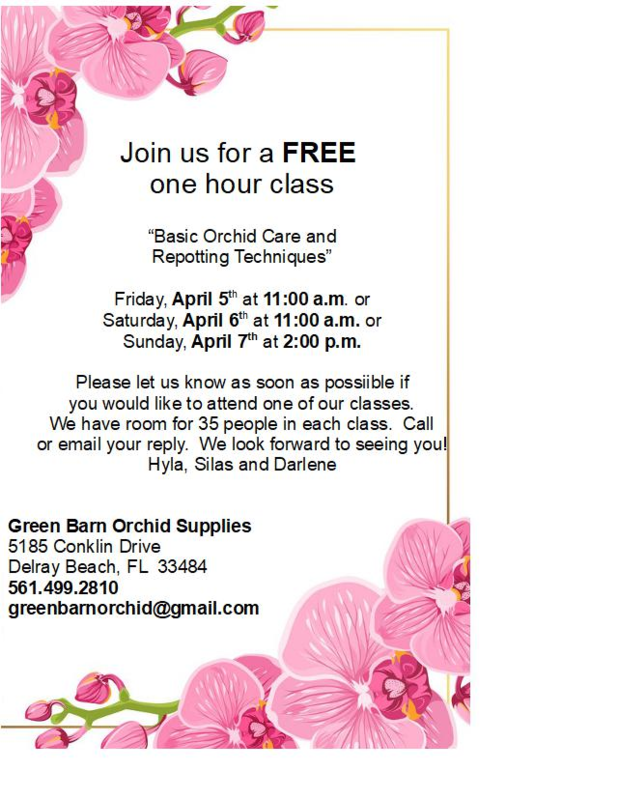 I've taken this class in the past; it is very practical and worthwhile with expert advice about taking care of your orchids. Do sign up if you are interested because the classes become filled! Image courtesy of Morris Arboretum. 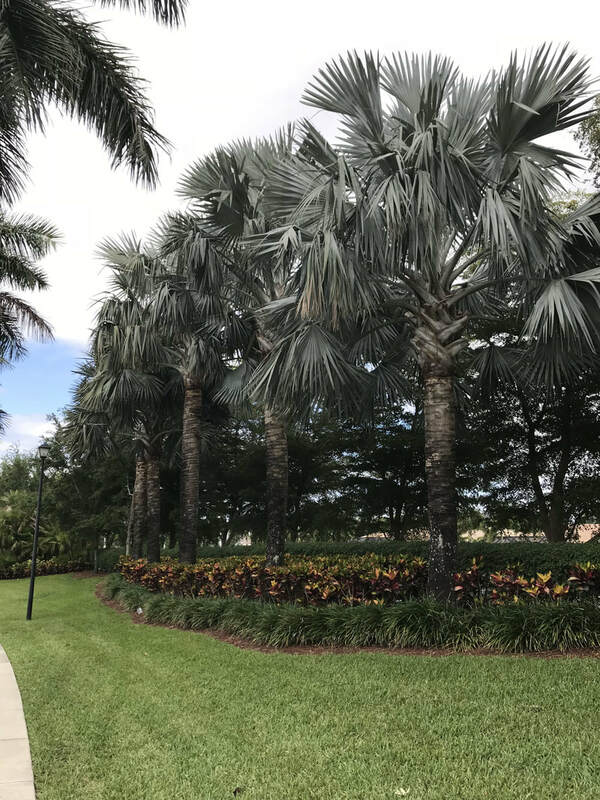 The Royal Palm was a contender for the state tree of Florida; however, it only grows in Southern Florida, so it lost to the Sabal Palm, which grows throughout the state. 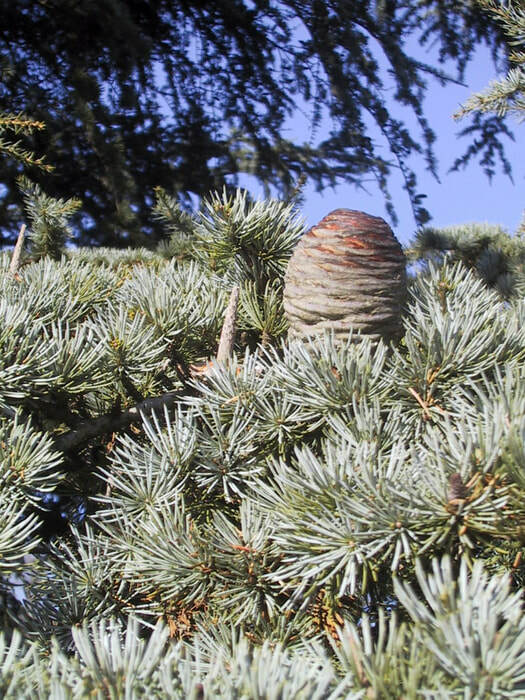 Two pine tree species were also in contention. 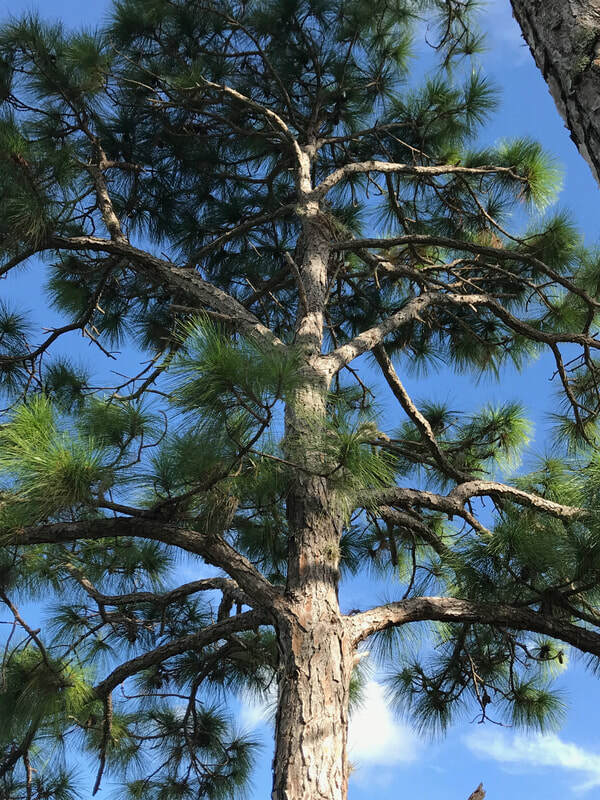 Imagine if our state tree were a pine. Surely that image would change the vibe of a postcard from sunny Florida! The scientific name of the Royal Palm is Roystonea regia. The genus is named for Roy Stone, a soldier in the Union Army who was subsequently sent to Puerto Rico to engineer roads. Regiameans regal. This palm is native to Puerto Ricoand other Caribbean Islands, Florida, Mexico and parts of Central America. Royal Palms can be identified by their impressive features: enormous feathery leaves, huge flower clusters, and great height. Another identification feature is a trunk with the smooth gray appearance of a cement column (see photo). Structurally, all palms are designed like reinforced concrete. 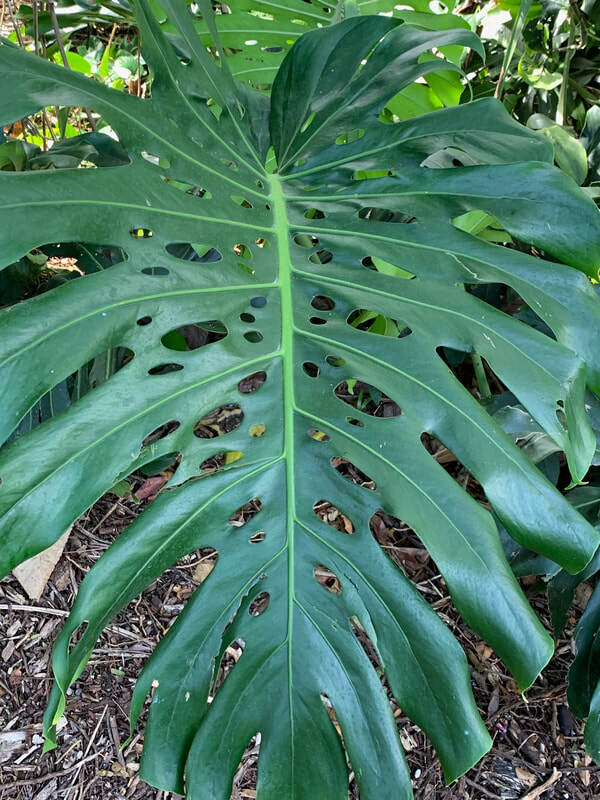 Since palms are not trees,and therefore do not have sturdy rings of wood in the trunk, they get their strength by forming vertical vascular columns that act like steel rods and then surrounding these vascular columns with connective tissue that acts like cement. 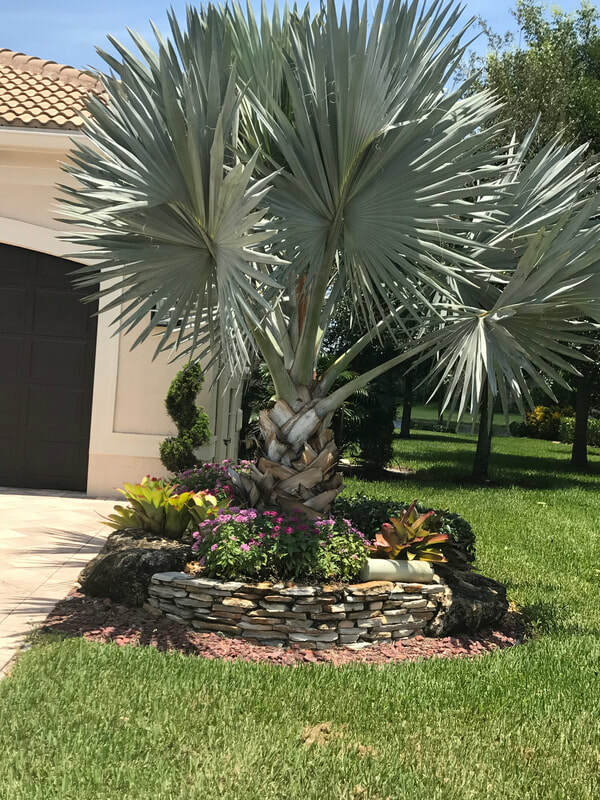 Royal Palms have no edible parts, but they are grown commercially for landscaping. 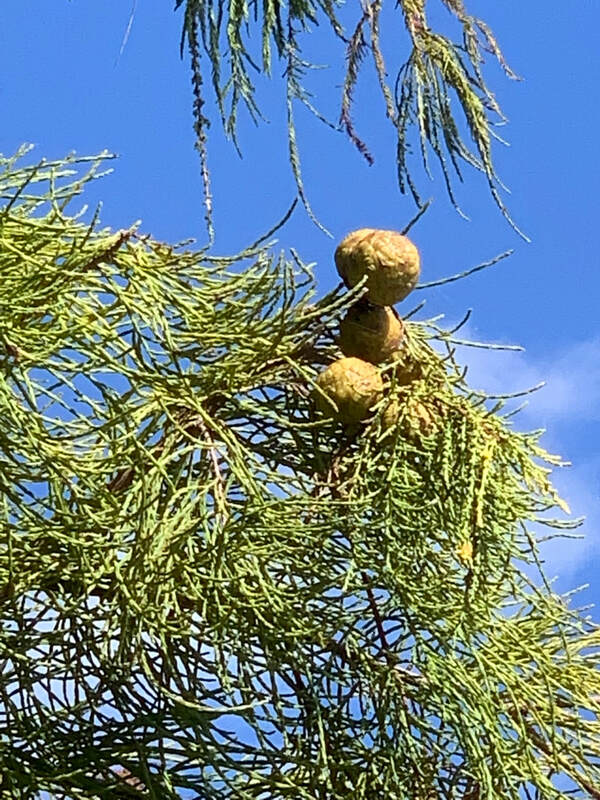 Although they are easy to grow, they do come with three caveats: 1) Their heavy fronds can pose a danger as they fall from their 50-75 foot heights. 2) Their extensive root systems can be destructive 3) Their smooth pseudobark can serve as a growing place for lichens and black sooty mold, which some people find unattractive. Please click on "slideshows" in the upper right hand corner for named photos of many common Valencia Reserve/ South Florida landscape palms. 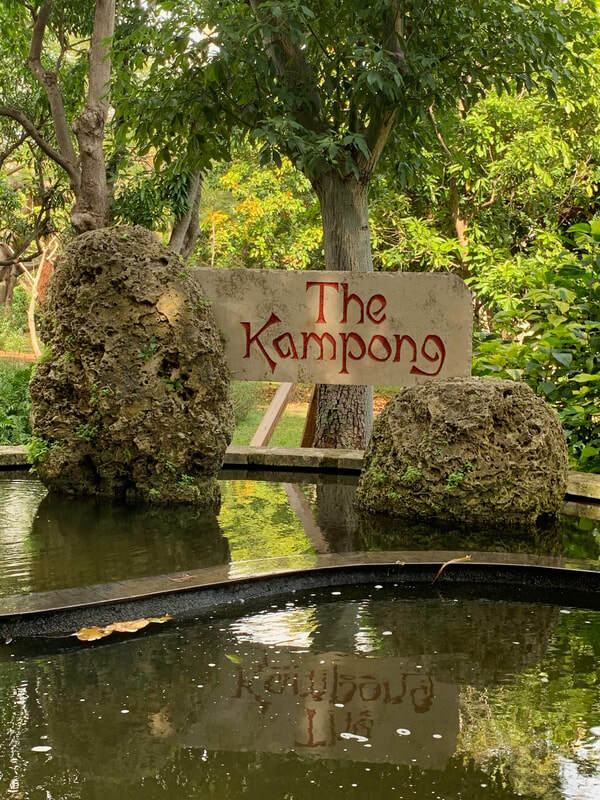 The Kampong in Coconut Grove- wonderful tour! Wonderful tour of Kampong with my garden club! The Kampong was the house and garden of Dr. David and Mrs. Marian Fairchild, whose surname is attached to the Fairchild Tropical Botanical Garden down the street (a completely different entity, also wonderful to visit).Some of the plant highlights at The Kampong are: coffee, mango, avocado, bananas, pineapple, sugarcane, cacao, chili peppers, guava, frankincense, baobab, and banyan. 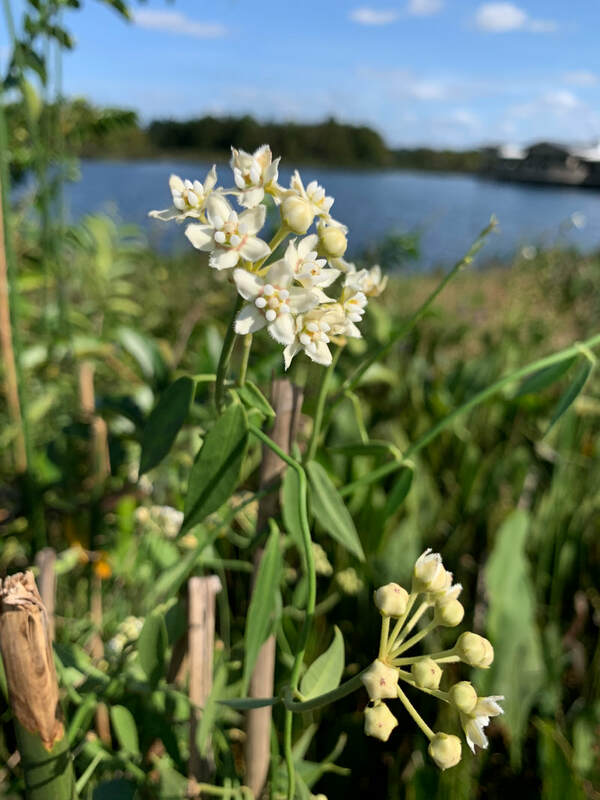 While self-guided tours arean option, I strongly suggest a guided tour because our energetic and knowledgeable guide really enhanced my appreciation of the significance of The Kampong's history and plants. 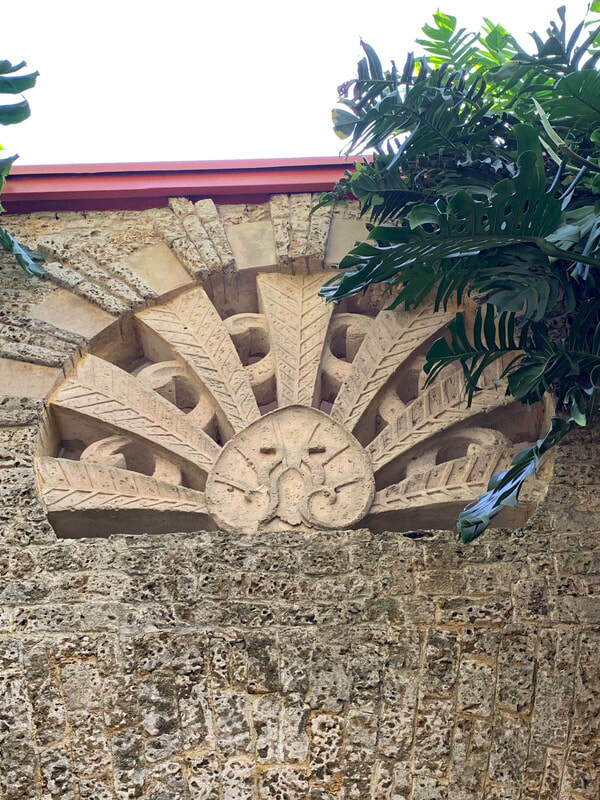 ​This noble palm was named for Otto von Bismarck , who served as the first Chancellor of the German Empire from 1862-1890. The German explorer Johann Hildebrandt (1847-1881) discovered the palm in Madagascar; unfortunately, like many of the early plant explorers, he died while on the expedition, in his case of fever. The large pleated silver-blue leaves of Bismarckia nobilismake this palm easy to recognize. 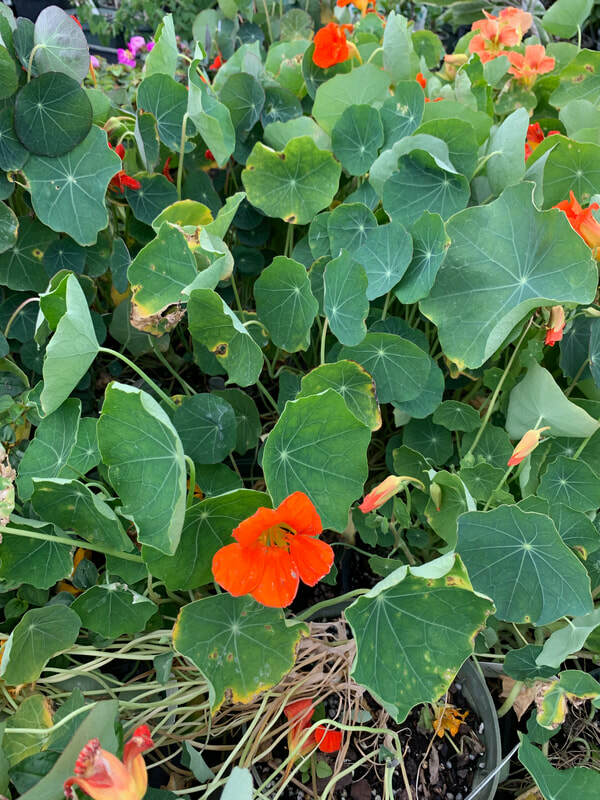 Check out the exact color of the leaves before you buy one, as plants vary in hue with a green form also available. Only a female Bismarckia will bear seeds that can be planted to grow a new palm (and only if a male Bismarckia is near enough to pollinate it). Notice five Bismarckias on each side of the Lyons Road VR Guard Gate, where they have grown to an impressive size of about 20 feet tall. Some are females that bear fruit with seeds and some are males, I checked! Because the leafy crown is held so high, Bismarckias often survive the fires deliberately set to clear the land for agricultural use in their native Madagascar. Where would I take guests who are visiting Palm Beach County this holiday season? 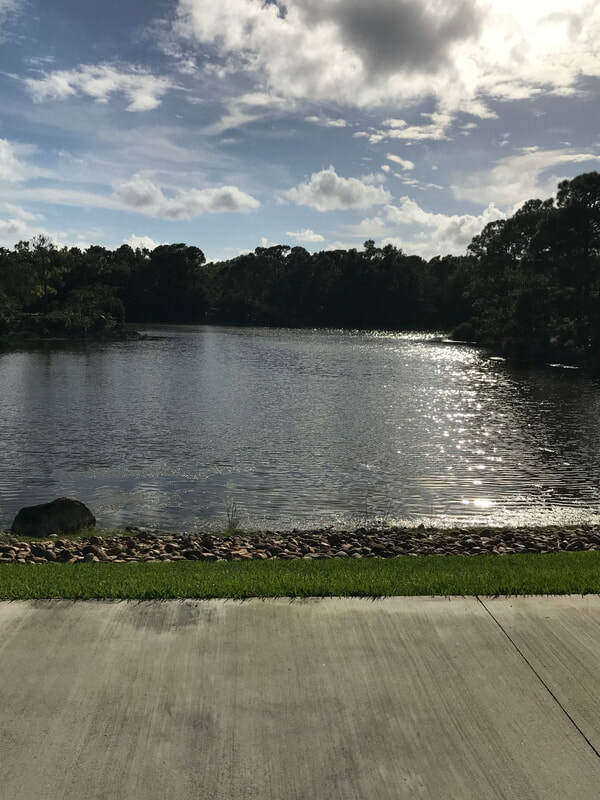 Morikami is my top pick because it is easy to get to, has easy parking, and has so much to offer. 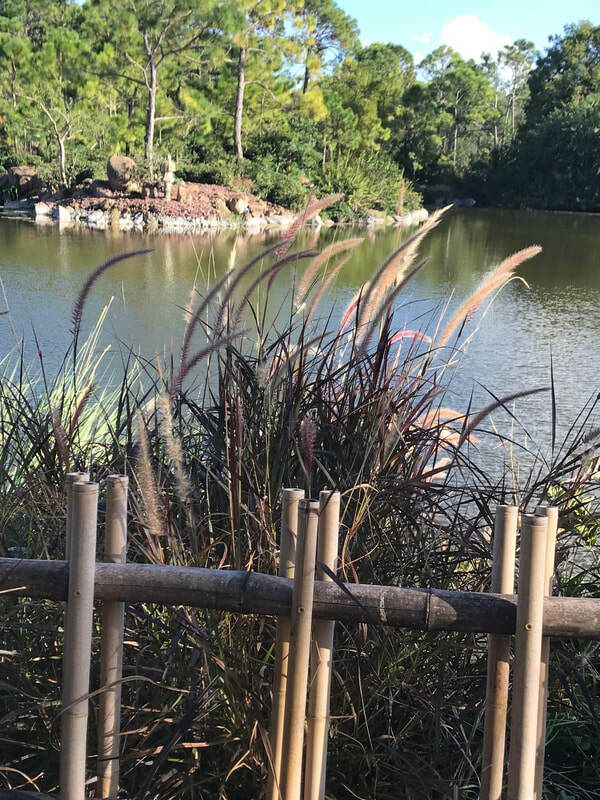 First, it is a beautiful and serene place to walk on easy gravel paths and enjoy nature, while seeing six representative Japanes-inspired gardens as they developed over the centuries. If you ask at the gift shop, you can obtain a small telephone-like device which will play information as you arrive at various points of interest. Second, there is a nice display of bonsai. Third, there is a large Japanese villa where the history of the Japanese experience in Boca Raton can be learned. Fourth, there is currently (through 3/31/19) a wonderful exhibition of Contemporary Japanese Lacquer Sculpture. Fifth, the gift shop features lovely items from Japan. Sixth, the Cornell Cafe serves delicious Pan-Asian food from a terrace with a delightful view of the lake ( cafe open 11-3, so plan accordingly). Note that the cafe is only available to members or non-members who have paid the daily admission fee. 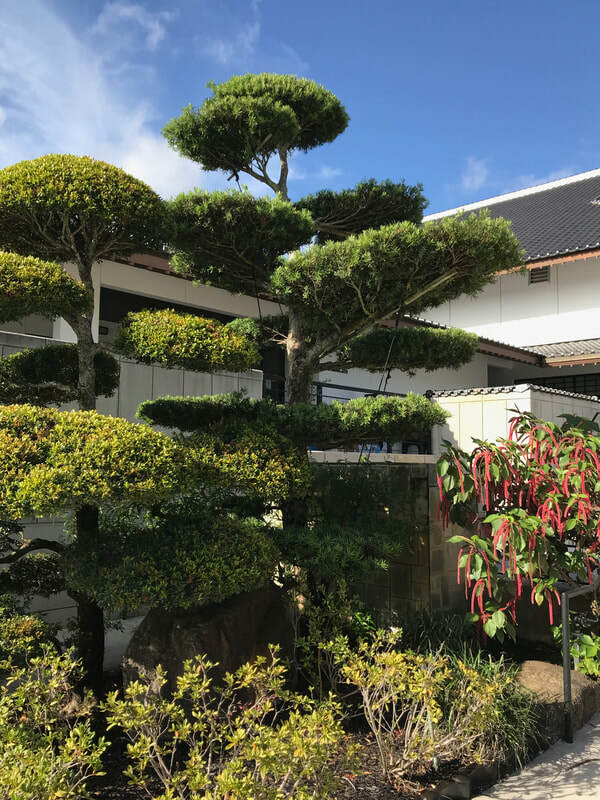 Seventh, while this is NOT a botanical garden ( its mission is to be a center for Japanese arts and culture) and only the bonsai are labelled as to species, there are about 100 plant species in the gardens to entertain any botanists on board. 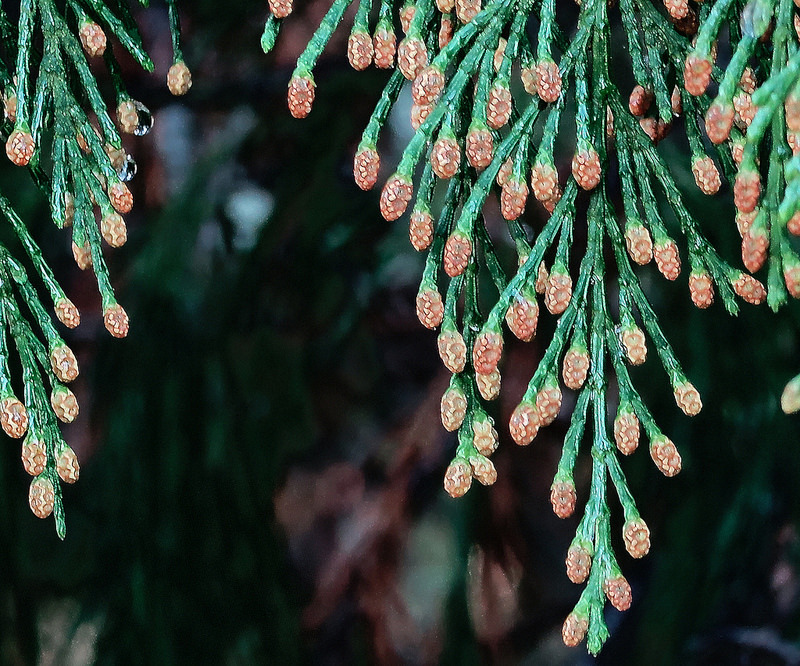 A catalogue of the plants with photos of them can be found on the Morikami website. 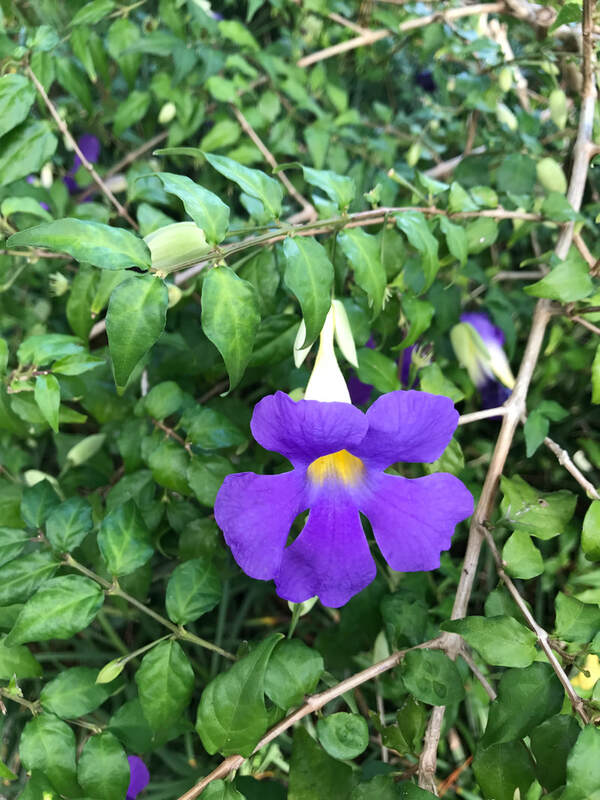 In addition, I have put together a slideshow of many of the current bloomers (photo of Thunbergia erecta above) ,and I have added the meanings of their scientific names. I would allow at least two hours to see everything at an easy pace, and more time if you plan to eat at the cafe. 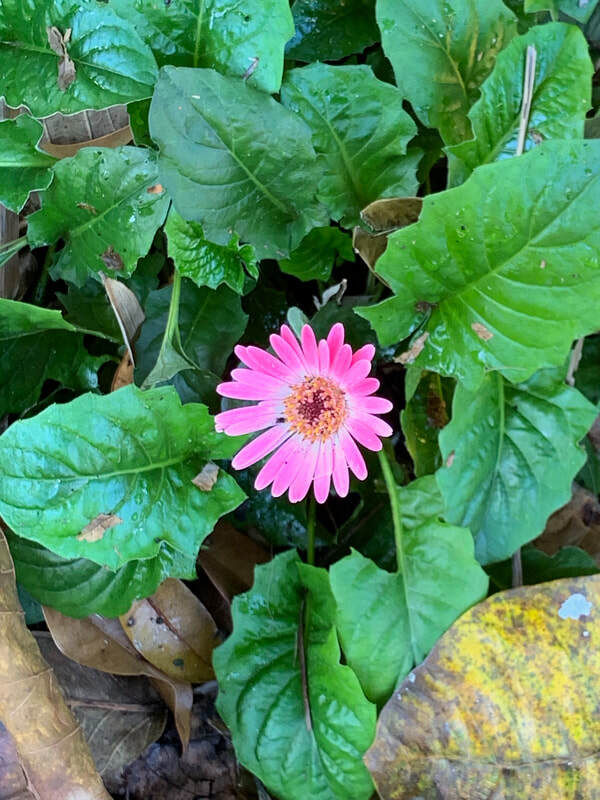 Please enjoy, and do check the Morikami website for hours ,prices and special events. Katherine Wagner-Reiss has her botany Certificate from the New York Botanical Garden, where she is a volunteer tour guide. She has a special interest in native plants and in the scientific and the common names of plants. 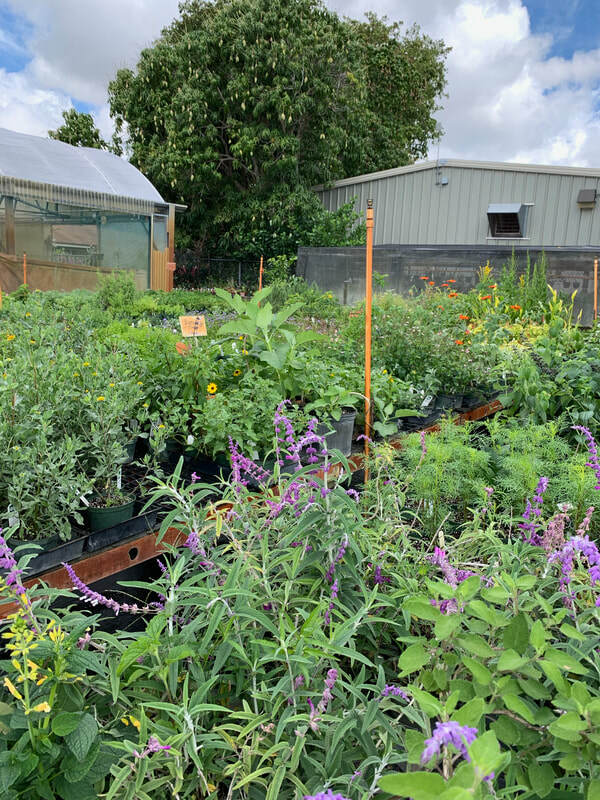 She credits Botanary and Missouri Botanical Garden Plant Finder and Wikipedia and Stearn's Dictionary of Plant Names for Gardeners by William T. Stern ( 1992) as the excellent sources of most of the etymologies of plant names on this site.